I am happy that they were my Guardian and I would recommend them to anyone who is looking to find the best guardian for their child. Hello! my name is Amy Wu. I have just returned to Hong Kong. After completing my university degree at Cambridge where I studied economics I was 18 when I first met the guys from RUYANG my parents wanted me to have a guardian even though I was going to University I wasn't happy about this because it made me feel like a kid. I was so silly to think this because without them I don't know what would have happened with my studies. They looked after everything from paying my accounts to making sure I had money to live and when my tutor said I had problems with my English. The educational department organised for me to get help both at university and privately. During my holidays Ruyang helped me get a part time job and work experience with an accounting company. I am happy that they were my Guardian and I would recommend them to anyone who is looking to find the best guardian for there child they are the best. Special thanks to Claire - it was nice to be able to have a guardian who could understand my parents needs and wishes. I would be happy to recommend Ruyang to any individual thinking of studying in the United Kingdom regardless of the course. Hello my name is Belle Yang; I come from Taichung Taiwan and was delighted when I was approached by Ruyang who asked if I would feel comfortable in writing a reference or testimonial of my experience with the Ruyang Company. As a mature aged student who had never been out of my country I admit I was a little scared of what life would be like in the UK. With a love of fashion I was delighted when I was able to get into Manchester University. Whilst I was getting counselling by my agent in Taiwan it was recommended that I undertake an intensive English course prior to going to university. I was quite surprised to find a company that was willing to spend so much time with both in the classroom and in private. I would also like to say how privilege I feel that Claire invited me to stay in her home. I think I preferred this choice over that of a host family, as it was nice to be able to have a lovely place to stay and the food was exceptional. I would also like to thank the Educational Consultants at RUYANG for the help and support that they gave me during my studies especially when it came to my dissertation. Without the help of all the people involved in Ruyang, we wouldn’t have got here and we know that we will succeed with our study because of the care and advice we get from Ruyang. I am writing this on behalf of my brother and me. My name is Denis Kan and my brother is Andy Kan.
We are from Taiwan and we have been using the RUYANG Company for the past 3 years. When we came to the UK the people from the RUYANG Company helped us with everything we needed to make our stay comfortable from buying uniforms, textbooks, bedding and everything else you could think of they did. Sometimes when we miss Chinese food we will go and spend the weekend in Claire’s house she treats us like we are friends and like adults. It’s been great to experience this as we are now in University I am studying at University of East Anglia and am in my 1st year and Andy is studying his 2nd year at Brunel University in Uxbridge. Without the help of all the people involved in RUYANG we wouldn’t have got here and we know that we will succeed with our study because of the care and advice we get from RUYANG. If you’re looking for people who care about you and want you to succeed and mean it then you should use RUYANG they are nice people and they truly care about their Students. When you asked me If I would ask the other students to write a testimonial About your company I was happy that you remember us. Here is a picture of all of my group who now are working in a lovely tourist resort and we have used the skills that the RUYANG Educational Consultants helped us to learn. Since we completed your 4 week intensive course we have felt more comfortable with dealing with English speakers and now it has helped us to get better jobs and more money. We all get together every Saturday and we spend all day just using English to make sure we continue to develop our communications skill as you taught us. I’m not sure what you wanted us to write But from the bottom of my heart I would like to thank you an the other educational consultants from Ruyang that have been able to make our future brighter and for teaching us that we can be what ever we want to be in this world all we have to do is believe in our self’s and be willing to do the hard work to achieve our goals. To anyone no matter what country you come from if your looking for people who care about you and want you to succeed and mean it then you should use Ruyang they are nice people and they truly care about their student not the money. With all our love and happiness, thank you. We are very thankful to Claire for her time and support given to Elsa. Because of her continuous efforts, Elsa has quickly adapted well to her school life within the United Kingdom and now she is very confident and active in many school music activities and academic lessons. Ruyang also had successfully helped Elsa to apply for financial funding from school for her specialist music course. We rely on them very much for advice in many areas of Elsa’s studies. We are confident that we made the right choice in choosing Ruyang as the Educational Guardian for our Daughter and are happy to recommend them to anyone thinking of sending their child to study in the United Kingdom. Hello! 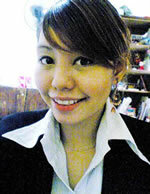 I am Esther, a Logistics Manager From Singapore. Recently, I undertook a one-on-one course, staying with a RUYANG Educational Specialist Host Family with a passion for entertaining and cooking as a special interest component. During my course, my host teacher and I visited a local restaurant where I was able to meet the chef, chatting about his menu and watching him prepare dishes. I also went to several local food fairs in the Midlands District, talked to exhibitors, watched some demonstrations and tasted some sample food. 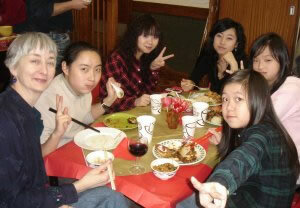 At my host teacher’s home, I prepared several traditional English dishes with my host teacher during my course. I found all the staff involved very professional and helpful with the application process through to me arriving at my host’s home. I would recommend them to anyone who is thinking of studying English as a second language and who wants to do it in a different way instead of in a classroom. 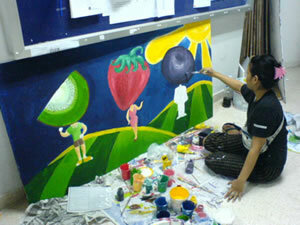 I found my experience very enjoyable and memorable. Thank you to everyone involved in my experience! 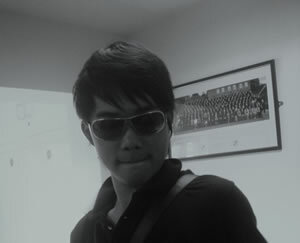 Hello my name is Gemmon Simm I have just returned to Malaysia. After completing my university degree at Hertfordshire University where I studied my masters in Scientific Manufacturing. I was 19 when I first met the guys from RUYANG my parents wanted me to have a guardian even though I was going to University I wasn’t happy about this because it made me feel like I was still a child and I was looking forward to having independence when I arrived in the UK. I was so silly to think this because without them I don’t know what would have happened with my studies it didn’t take long to realise that my English skills were not as great as I thought. They looked after everything from paying my accounts to making sure I had money to live and when my tutor said I had problems with my English. The educational department organised for me to get help both at university and privately. During my holidays I was lucky enough to go and stay with Ms Yang. 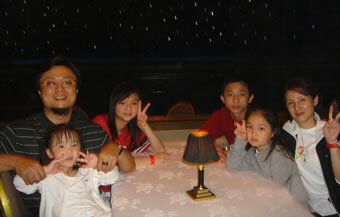 I remember one Holiday period there were a group of 12 students from Mainland China and Taiwan. Claire had a arranged a huge boat for the students to live on and well travelled all over the water ways of Norwich for 8 days. It was great fun because the younger students looked up to me and I felt like I was a worker not a student. Another holiday Time Ms Yang arranged for me to get some work experience. I am happy that they were my Guardian and I would recommend them to anyone who is looking to find the best guardian for there child they are the best. Special thanks to Claire. It was nice to be able to have a guardian who could understand me and treated me as an adult not a child. If it wasn’t for Claire not giving up on me and all the extra help and assistance given to me by the Ruyang Community I don’t think I would be studying at any University. I Don’t know what to say other than thank you to Ruyang for giving me a chance when everyone else gave up on me thank you for letting me live in your house for 18 months and showing me that its not everyone else’s fault and that if I want to be an adult I have to be responsible for my actions. I came to the United Kingdom 4 years ago and went through five schools I didn’t like it here and I was very naughty. I was kicked out of one school and couldn’t find another school that would take me. Claire let me live with her and found a college near her home to attend. She took me to school and picked me up everyday for the first 3 months and got me into a program of study. Claire was very strict at the start. But I now realise it was for my own good. 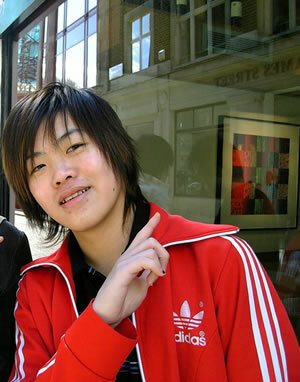 Now I am studying at Hertfordshire University in business and IT. If it wasn’t for Miss Yang not giving up on me and all the extra help and assistance given to me by the RUYANG Community I don’t think I would be studying at any University. Claire, a reliable and responsible choice for any parent considering sending their children overseas to study. It’s my pleasure to write this letter in support of my children’s guardians, Ruyang, a reliable and responsible choice for any parent considering sending their children overseas to study. It was never easy until we met Claire, and we will never forget her for the goodness and help she offered for my children. My husband and I are in the trading business in Taiwan. We sent our children to study in England because we have always appreciated the culture and education system. We were disappointed with our son Joe’s first guardian because he could not provide timely assistance despite years of experience. Luckily, a friend recommended Claire and since then everything has gone smoothly. Ruyang only charge a reasonable fee with clear statements, they also communicate effectively between the school and us. Most importantly, they are always willing to serve the best they can in a highly dependable manner. Our son has been studying in England for four years and will soon enter the A level. He has made great progress in his studies and personal growth under the care and guidance of Claire. Therefore, one year ago we decided to send our daughter to study in England as well. 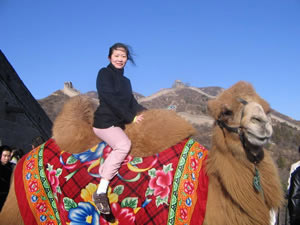 We feel assured that both of them will flourish there with the assistance of Ruyang. Claire is not only our children’s guardian; she is also their good friend. We feel blessed to have her taking care of our children abroad and we would like to recommend Ruyang to those parents who plan to arrange for their children to study in England. She got me an Interview with Concord College and well now I am getting ready to start my A-Levels and I owe it all to Ruyang! Hello to everyone that reads this. My name is Joe I am 17 years old and studying at Concord College one of the best schools I have been to in the UK. I have been here for 4 years now I used to have another Guardian but my mum change to RUYANG after meeting Claire the Director. 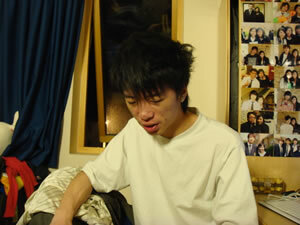 When I changed to Ruyang I was at another school and had lots of friends but I wasn’t doing so well with my studies. Claire made an appointment to visit the school and spoke to my parents and said that she didn’t think the school was good enough for me and that I was being lazy. I was pretty angry at Claire for saying this to my parents but then she got me an Interview with Concord College and well now I am getting ready to start my A-Levels and I owe it all to Ruyang. I would like to say I feel honoured that the people at RUYANG value my opinion of their services and would recommend them to anyone wishing to study English in the United Kingdom. I come from Osaka Japan and was delighted when I was approached by Ruyang who asked would write a reference or testimonial of my experience with the RUYANG Community. As a successful businesswoman from Osaka Japan, with a love of fine wine I thought it would be very interesting to go to the UK to undertake an advance English course for 3 weeks during my Holidays as to “kill two birds with the one stone so to speak”. Whilst researching where I would study I was mentioning to a friend of my plan and he suggested I contact RUYANG International Guardian Service & Education Consultancy Ltd. I was quiet surprised to find a company that was willing to spend so much time with me on the phone and by email to make sure that I was happy with what was on offer. I finally decided to under go a new program that at the time was very new and unique. As an amateur wine collector I took a course with wine as the special interest component. My host teacher accompanied me with visits to a local wine production company where I learned all about wine production in the United Kingdom and to a specialist wine seller. I also went to a wine-tasting evening with my host teacher and was able to develop my communicational skills with strangers in English and found this a very valuable experience and would help with my business dealings with westerners in Japan. I hope you have fun studying here like me and hope you chose Ruyang. They are the best it's like having another family and when you are feeling sad and lonely they are there for you. 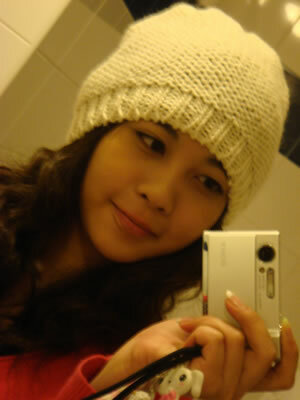 My name Is Ning I’m now 16 years old and studying in the United Kingdom. I have known Miss Claire through my family back in Thailand and she encouraged me to get a scholarship to study here after I attended her free English school in Khonburi Village. Miss Claire is my guardian and takes very good care of me at school in UK and helps with everything to make my life here easy away from my family. It was strange when I first came here because I come from a small farming village and this is such a big city. I hope you have fun studying here like me and hope you chose Ruyang they are the best its like having another family and when you are feeling sad and lonely they are there for you. 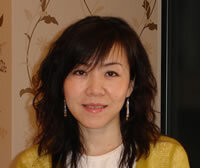 Over the years that we have worked with Clare and Ruyang, we have found them to be caring and committed professionals. Over the years that we have worked with Ruyang, we have found them to be caring and committed professionals. They show attention to detail and flexibility, which is so important when dealing with international children in a boarding setting. We find them responsive and easy to deal with, and are happy to recommend them to our families. I have been very impressed with the care and commitment Claire and the Ruyang team shows to the students. They are clearly conscientious, hardworking and dedicated. 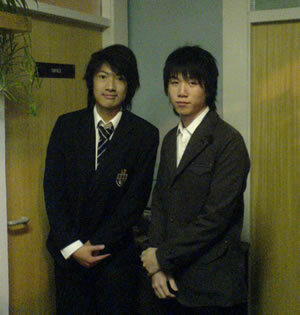 RUYANG have acted as guardians for students at Saint Michael’s College for a number of years now. During this time I have been very impressed with the care and commitment Claire and her associates have shown to the students. They are clearly conscientious, hardworking and dedicated. On the occasions that I have had to contact them they have responded very quickly to my queries. They take a great deal of interest in the students, both in their academic progress and in their general well-being and happiness. I have also found them to be very supportive of the school, acting quickly and resolutely to ensure that students follow the rules and understand why the rules are important. In short, I have absolutely no hesitation in recommending Ruyang and Claire as serious, professional, caring individuals. It has been a pleasure being involved with RUYANG and look forward to helping more students achieve their musical goals. In the time I have worked with RUYANG International Guardian Service & Education Consultancy Ltd as Music Tutor I have found the students to be mostly attentive, motivated and willing to learn. The equipment is respected and looked after and more often than not they make a real effort to practice in between lessons to gain the most from there studies. Some students are obviously more suited and pick things up quicker than others, but all seem to enjoy themselves. I have been playing drums for 17 years and can teach up to grade 8 standard and also have extensive experience playing live and also professional session/studio work on drums and percussion. 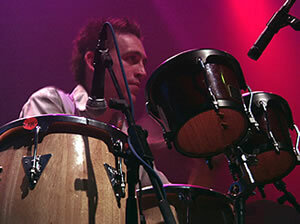 I have also been involved with youth workshops and teach in several schools and also the highly acclaimed Drum Academy. I feel that whether a student is just having fun or is more serious about playing drums, they can all take away a beneficial experience. It has been a pleasure being involved with RUYANG and look forward to helping more students achieve their musical goals. They have the ideal approach and it has been a pleasure getting to know them. This is very much the way guardians should be. 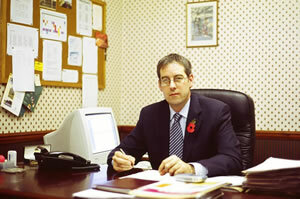 I have been Housemaster of Tower House at St. Lawrence College in Kent for three years. This year there were 54 boys in Tower, ranging in age from 13 to 19. These three years have been challenging and they have been enjoyable too. My experience, along with the training I have had through a two year BSA course, has taught me a great deal. I have dealt with many guardians and guardian agencies during this time and I believe that I know exactly how important it is that the boys not only have guardians but also that these guardians make life easier for the boys and their families and that they are easy to deal with from a school’s point of view. Guardians are such a crucial part of the boarding experience. It is vital that they are available when the need for contact arises. Really effective guardians are those who take their responsibility seriously, those who care for the boarders during term breaks, who communicate regularly with a Housemaster and who can be facilitating quality communication with often very distant families. The very best guardians are those who get to know those in their care well and who really make them feel safe, secure and valued. I have absolutely no hesitation in saying that Claire Yang and the Ruyang team are that kind of guardian and more. The boys who have been with them have been much more settled because of their care and close involvement. I have watched Claire come to collect these boys and have observed the positive connection she has with them. They let me know what plans they have for their breaks and holidays and they look forward to it. This is so much more than simply putting up a couple of young people and being technically responsible for them for a period. I have always been impressed by the time and effort Ruyang staff give to the boys. Further, they are such easy people to deal with and I have really appreciated the fact that contact has not only been regular but that they are always genuinely interested and concerned. I can honestly say that I have not dealt with more effective guardians in my time as Housemaster, and I have had dealings with a number of very good guardians. I have met with Claire and her staff many times. They take the time to really know what is going on and the boys know this. They have the ideal approach and it has been a pleasure getting to know them. This is very much the way guardians should be. If you are thinking about studying in the UK or about sending your child to study here, I suggest you use RUYANG as your Guardian because you're guaranteed to get support and information as and when you need it. My name is Peter and I Am currently studying in Cambridge I have been studying in the United Kingdom for the past 2 years I was introduce to the RUYANG Community by an agent in Taiwan when I first went to study at the Bedford School Study Centre. Miss Yang took a great interest in my personal life and hobbies when I arrived and made it easier for me to settle in at times I felt she was a bit strict with study and bed times but I realise now the importance she was trying to stress on not staying up too late in the night because it effects the rest of your day. I am happy RIYANG Is my Guardian because they do everything for me and show a real concern about my school work and performance they attend all school functions as my parents representative and relay full details to my parents about my life in the UK this is good for my mum and dad but not always good for me. I feel lucky to have a guardian who cares about me. Because they are always there for me no matter what. If your thinking about studying in the UK or your thinking about sending your child to study here I suggest you use RUYANG as your Guardian because your guaranteed to get support and information as and when you need it. Good luck and welcome to the RUYANG Community. I am studying at St Lawrence now in a coastal village called Ramsgate. Claire the Director of RUYANG calls my housemaster every week to see how I’m going at school and to make sure I’m studying hard. RUYANG International Guardian Service & Education Consultancy Ltd. has been my Guardians since 2005. My mum met them in London because my mum wasn’t happy with the Guardian I had. At first I didn’t know what to think because they had many other students but after the first few days on half term in October 2005 it was so good they made sure we had plenty of food and always different styles its nice to have food from my country. I am studying at St Lawrence now in a coastal village called Ramsgate. Claire, the Director of RUYANG calls my housemaster every week to see how I’m going at school and to make sure I’m studying hard. My mum and dad are very happy with my progress at school they sent my brother last year. I Think I’m luckier than other students at my school because during half term I get to go on excursion with my Guardian or Host Family. We would like to say thank you to Ruyang for the continuous support you offer our school your donations of text books and materials to enable us to study english as to better ourselves for the future. On behalf of all the students studying English as a second Language here in Kho Khiao village of Amphoe Waritchaphum in the province of Sakon Nakhon. We would like to say thank you to RUYANG International Guardian Service & Education Consultancy Ltd. For the continous suport you offer our school your donations of text books and materials to enable us to study english as to better ourselves for the future. We would also like to say thank you to Ruyang for the School bus you brought us in January of 2007 and for allowing us to better understand western culture and for the guidance and wisdom you give us every time you visit. We hope that with your assistance many more of us will be able to benefit from the scholarship programe you started. When problems occur we know that we can consult and discuss with Claire and she will fix the problem. At first we were very concerned about sending our son to a foreign Country to study. It was our fate to meet Ms Yang and we are very lucky to have Ruyang as the legal guardian of our child whilst he is away from home. When problems occur we know that we can consult and discuss with Claire and she will fix the problem. Thank you, Claire to shorten the distance between our son and us. RUYANG attend all my parent teacher nights and give me constant advice on what I need to do. They always show they care. 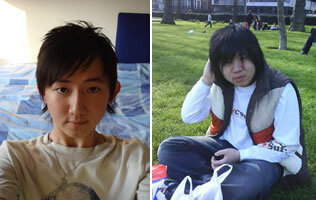 My name is Timmy Wu I am from Taiwan and have been studying in Kent College for the last 3 years. I guess if youre reading this it means youre thinking about sending your child to the UK to study or maybe you are the student who is thinking of studying in the UK. Here is the biggest tip I can give you for success in the UK the Guardian you chose is very important I know because I have been with RUYANG since I came here and have always been happy with them. It’s strange because I always hear bad stories from other students about there guardians. But everyone I have met in RUYANG is great even get to make friends during the half term break. The first half term trip we went on was so cool we were on a riverboat for 2 weeks, travelling the broad waters, fishing, playing games, oh yeah and studying that wasn’t so good though lol. I even got to drive the boat. I feel so lucky when I get to stay with Claire because it's like one big family. 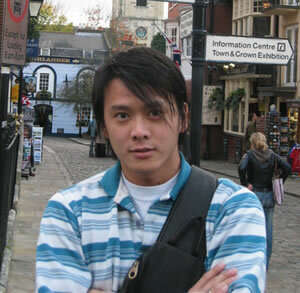 I come from the Taiwan and have been studying in the UK for the past 2 years and I joined the RUYANG community when I arrived here and they act as my Educational Guardian. That’s funny calling it a community but that’s what it is. Sometimes I get to meet different students when I change host family but some times I feel so lucky when I get to stay with Claire because its like one big family. Don’t know what to say other than I think RUYANG really do care about you as a person and its nice to have someone you can talk to when you feel sad. Oh yeah and Claire cooks nice food thanks guys.